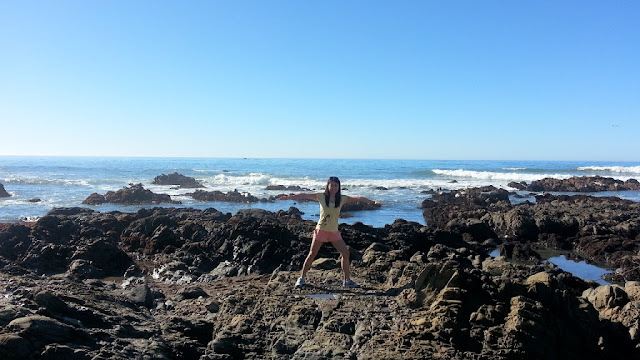 We get mellow and beachy in Cambria, the third stop on my Pacific Coast Hwy 1 Road Trip. 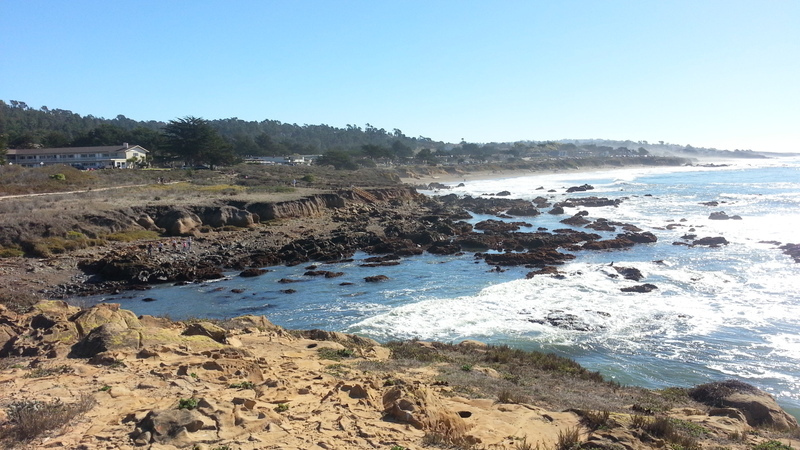 Cambria is a small picturesque village with a population of 6,000. Come here if you want to escape big box stores and chain restaurants! It is located midway between San Francisco and LA where singing seals salute the sun, and nature lovers converge for a relaxed beach scene. 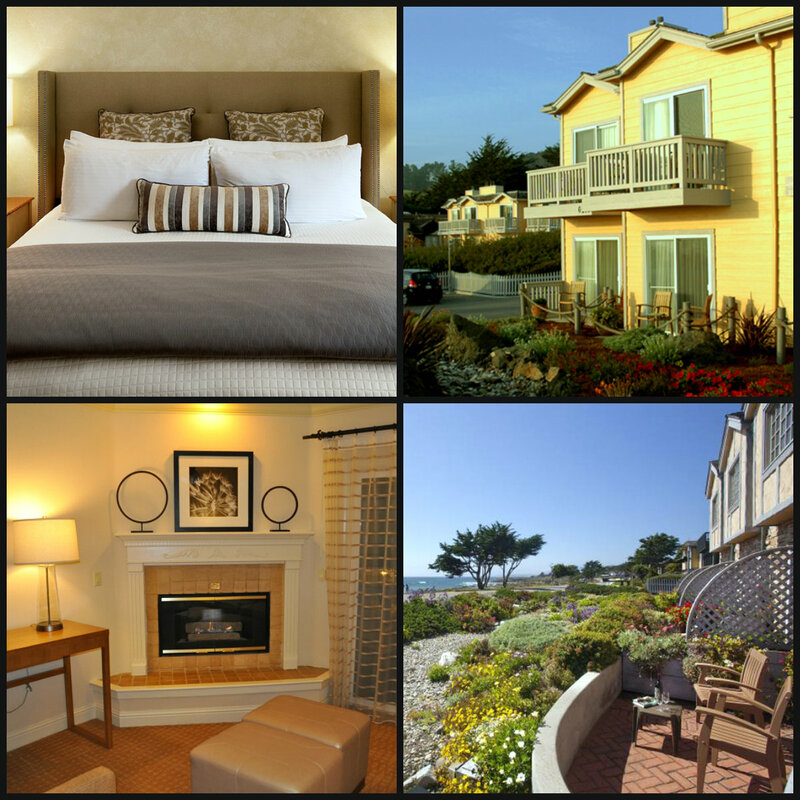 There is an endless stretch of hotels that dot Moonstone Beach but we're glad that we chose The Pelican Inn & Suites to rest our heads. Excellent service starts at check-in, where after getting our room key we enjoyed a complimentary wine and cheese reception at the lobby lounge (this takes place daily from 5:30-7:30pm). If you are after the cottage feel, you will find it here. Surrounded by landscaped gardens your suite will either be on the first or second floor. After staying in countless highrise hotels, hubby and I really welcomed this change. Our sun-dappled king suite was both charming and HUGE! We especially loved the separate sitting area complete with a gas fireplace and walkout to a balcony. Wifi is free throughout the hotel and there is an outdoor heated pool to relax in. Days can be as lazy or as active as you wish. Wake up and head to the lobby lounge for fresh brewed coffee and a complimentary breakfast - which you can also take back to your room. For something low-key, stroll across the street to Moonstone Beach (don't forget to bring your camera). The terrain can be quite rugged and there are many rocks to climb up on and pretend you are walking on the moon! If you’re up for adventure, go for a hike, go boogie boarding or giddy up at the Outback Trail Rides. Be a media mogel for a day and visit Hearst Castle (admission is $25 and includes a tour and movie). 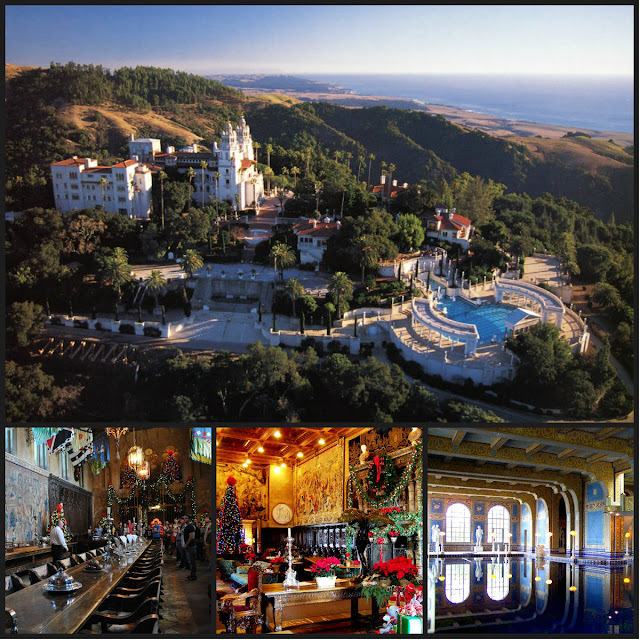 William Randolph Hearst was the owner before he passed away. If his name sounds familiar, it is because he built the nation’s largest newspaper chain including what we know today as Harper's Bazaar, Cosmopolitan, Esquire, Elle and O, The Oprah Magazine. It's on the touristy side of things-to-do but I found the Hearst Family Story really impressive and inspirational. Plus if you are a Harry Potter fan, walking through the castle will remind you of Warthogs - especially the dining hall. 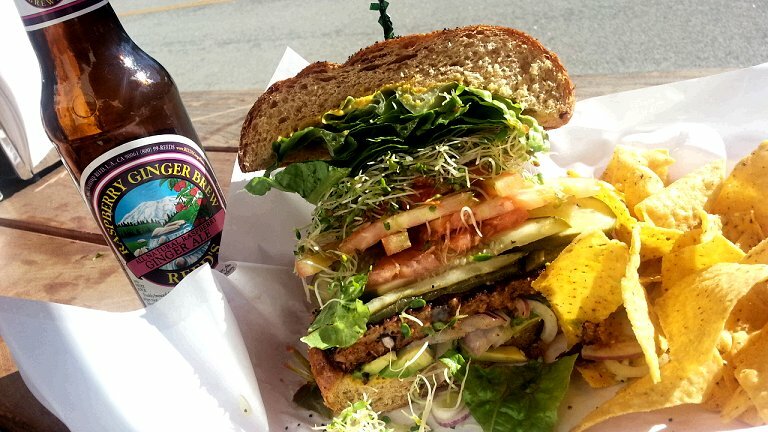 On your way to Hearst Castle, stop by Sebastian's General Store for lunch - order the veggie burger with fries and share it because the portions are ginormous! 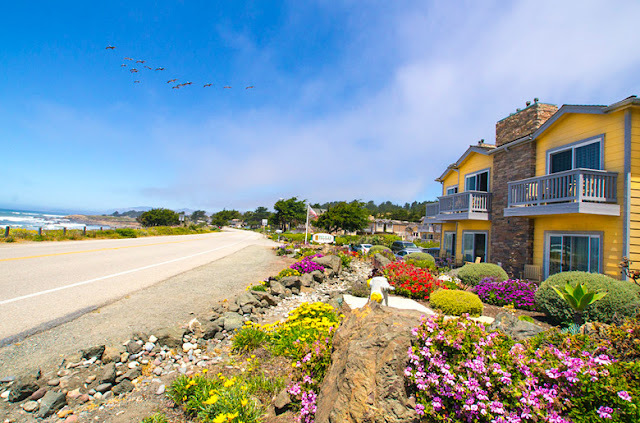 Forbes.com calls Cambria "one of America's prettiest towns" and we totally agree! 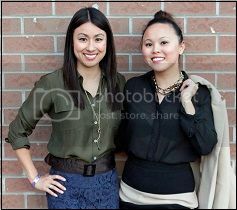 So when it came time to check-out and go back to the city, we grew a little weepy-eyed but we hope to visit again soon!